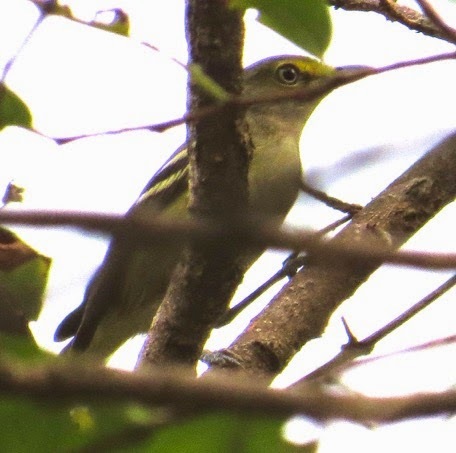 While we were birding along the road to San Lorenzo on the 6th March, Peter Boesman found a White-eyed Vireo. The bird was just before the bridge by the guard station. Bird was singing after playback and voice recorded. Bird seen very well, photo above.